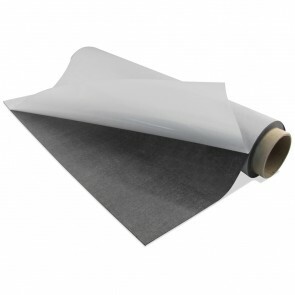 This roll of Adhesive Magnet is 24.375" wide by 50 feet long. It is an Ultra-thin 12 mil in thickness. The adhesive is an indoor adhesive that is perfect for crafts of all kinds. This thickness is meant to be placed directly on a magnetic surface.